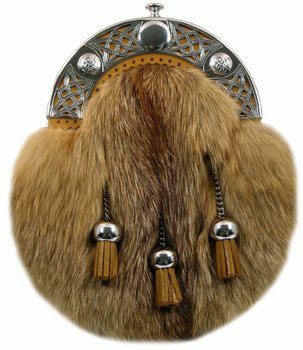 Formal Fur Highland Dress Sporrans to make your Formal Kilt outfit look Fantastic. 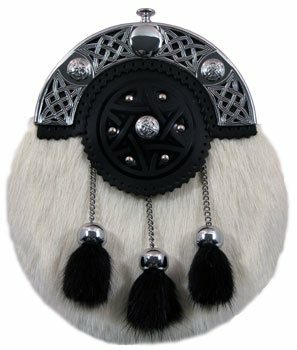 Sporrans are a traditional part male of Scottish Highland Dress. 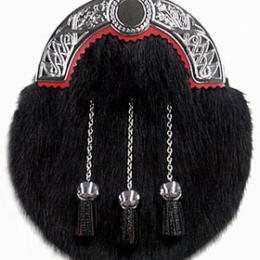 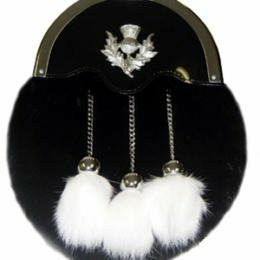 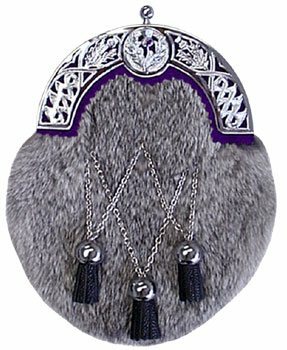 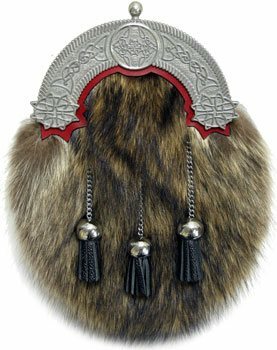 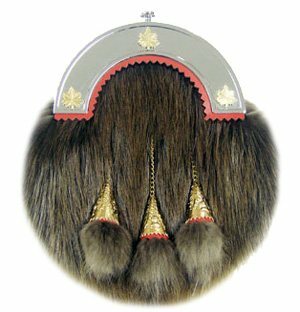 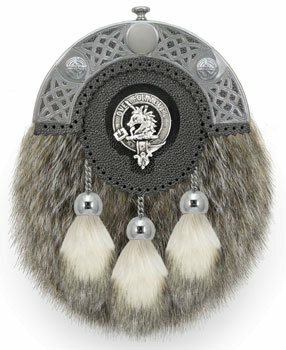 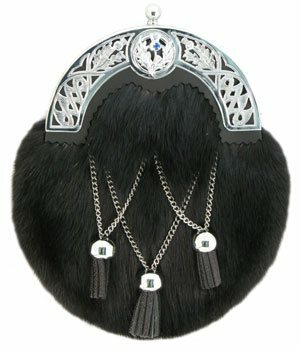 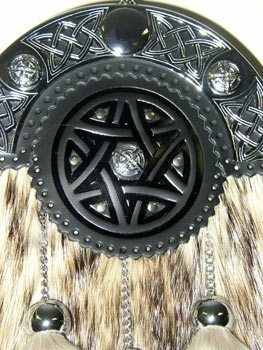 Formal Highland Dress Calf Skin Fur Sporran with Black Fur Tassels. 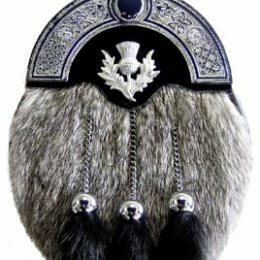 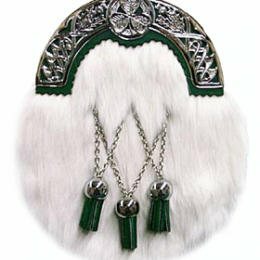 Sporrans are traditional part of male Scottish Highland dress, they are a pouch that performs the same function as pockets on the pocketless kilt.